In last week's Business in the Front, we talked about the ascendancy of the telescopic fork and how it has dominated motorcycle design for seventy-some years now. Today we'll be looking at some designers' interesting, but ultimately failed, attempts to get us away from forks and into the future. In the 1970’s motorcycle design went through a revolution. Engines got bigger and more powerful, bikes got heavier, and rider convenience and comfort improved. By the end of the 1970s, bikes were touching 100 HP, average weight hit 550 pounds, and top speeds reached the mid 100s. With all this technology coming hot and fast to motorcycles one thing remained unchanged—the telescopic fork. As bikes got bigger, heavier, and faster, engineers tried to get more and more from the humble and increasingly obsolete telescopic fork. Tube diameter increased from 35mm to 39mm, then 41mm. Dual front disc brakes corrected the fork twist problem in a rather roundabout way. Brakes grew powerful and the new fad was controlling fork dive and the changing rake/trail problem with “anti-dive forks.” Zippy branding returned with names like Suzuki’s “TRAC anti-dive” fork. The idea was to link fork damping control to brake input and prevent the dreaded dive. This was done by attaching small valves to the forks which slammed shut during hard braking. When this happened the fork oil, which had nowhere to go once the valves were shut, stiffened the fork noticeably. It didn't quite work the way the engineers hoped. The valves were easily clogged by dirty fork oil, and unpredictably changing fork characteristics introduced a new problem—front end tire slides! The anti-dive fork era was short. Motorcycle engineers soon found out that progressive springing is better at controlling the front end and requires no upkeep, and today a combination of fork oil and progressive springs is the most common type of damping used in motorcycle front ends. Then came the 90s. By 1990 superbikes, now known as sportbikes, were everywhere. Crashes were more common and frightening statistics were rising. 60 horsepower forks on a 100 horsepower bike meant the wobble was back. Worse, the stereotypical sportbike rider—a shirtless, helmetless teenager wearing swim trunks and flipflops—crashing at 100 plus miles per hour played well on the 11:00 news. Motorcycle safety was headed for Congress. Fortunately for us, the only casualty was the three-wheeled ATV (Good riddance -ed). 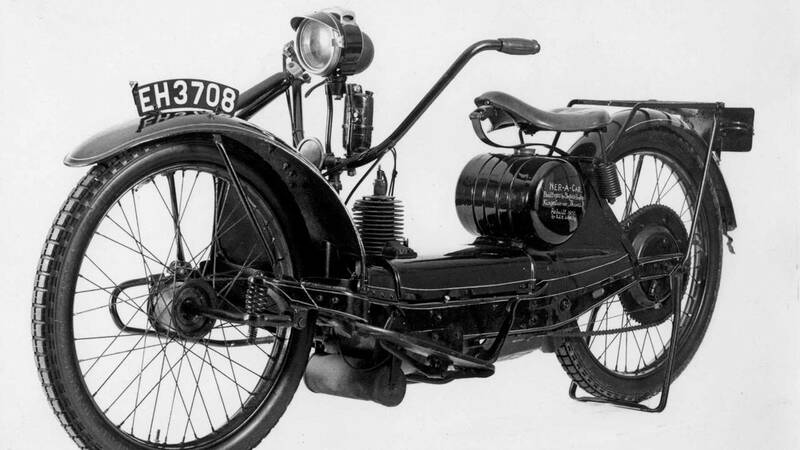 It was also around this time that motorcycle engineers began thinking outside of the box with regards to front-end design. For example, BMW responded with the telelever fork. The telelever works by using a wishbone arm that controls a telescopic device. 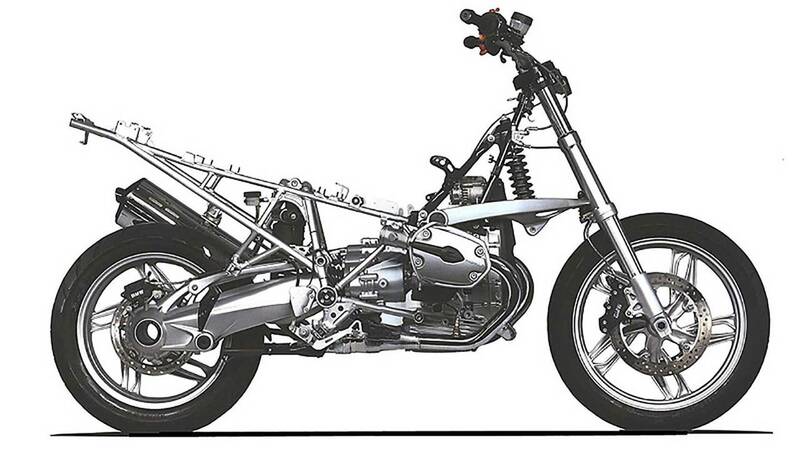 A multiplane bearing lets the fork turn in the swingarm and a simple shock does all the work. This gives a solid ride while solving the problems of telescopic forks. Even better, the mechanism can pass for a traditional fork at a glance. Yamaha took an entirely different approach, plunging deep into innovation and risk. Team Blue studied the problem of poor handling and fast bikes, looking at everything from the 1921 Ner-A- Car to the 1990 Bimota Tesi. The conclusion? Forks are done, finished. What would replace them, though? If Yamaha had its way, the replacement would be a front swingarm. With the front swingarm setup—also known as hub-centered steering—the wheel is attached to a leading arm, complete with ball joints, links, and rod ends. Those words are familiar if you have ever crawled under your car to do front end work. Stiction, flex, and the ever-changing geometry of telescopic forks would be things of the past. The system is impossibly rigid, will last for a very long time, and the geometry does not change much when turning, braking, or going over bumps. 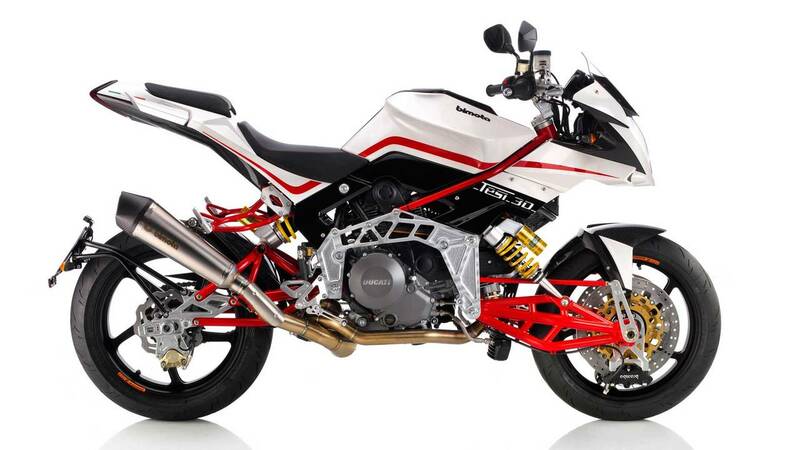 The Bimota Tesi is elegant in that Italian way, and heavily influenced Yamaha’s decision to mass produce the idea on bikes that real people could afford. 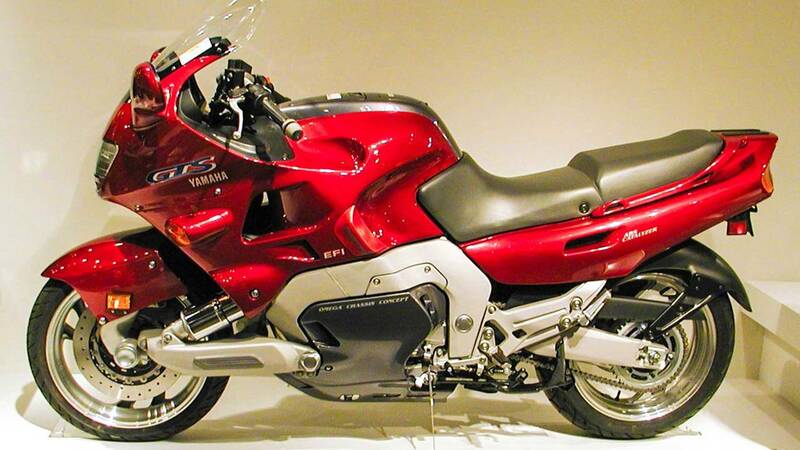 Enter the Yamaha GTS1000 of 1993. 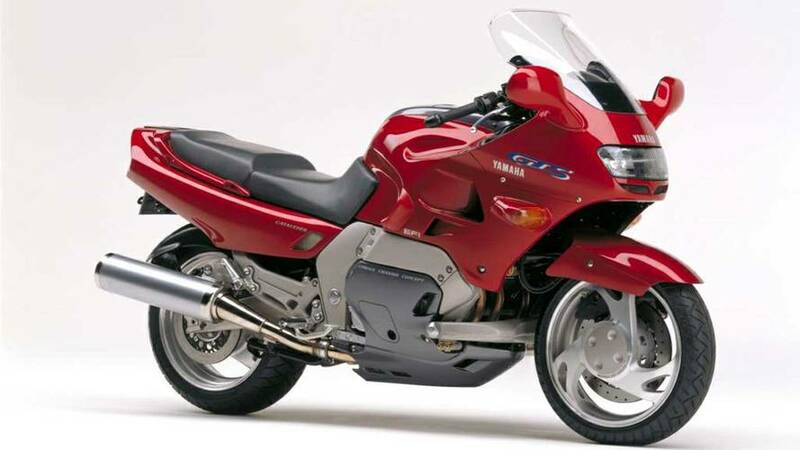 WIth the engine out of an FZR1000 and such high-tech goodies as electronic fuel injection and an anti-lock braking system, the GTS was a revelation of techno-prowess. That was before you got to the RADD Inc.-designed front swingarm suspension. Yamaha made its most serious bet on the future with this ambitious sport tourer. Here, finally, was a bike that you could ride as aggressively or as relaxed as you wish without the slightest technical drama. Sadly, that bet never paid off. Cost was the biggest problem with the GTS, it was incredibly expensive to make. The GTS had an even bigger problem than its eye-watering production cost, however. Remember I mentioned earlier congress talking about motorcycle safety? The industry, especially in Europe, took a preemptive strike at regulation. A voluntary and tamper resistant 100 horsepower maximum limit was agreed to by manufacturers. The GTS1000 was the first bike produced under this agreement. The 100 horsepower limit agreement failed almost immediatelWithmper-proof proof GTS lost all credibility with sporting riders who should have been its target audience. WIth the death of the GTS, the telescopic fork got a reprieve. The reasons for the telescopic fork's staying power are myriad. The biggest was probably money. Then as now, economies of scale were king. 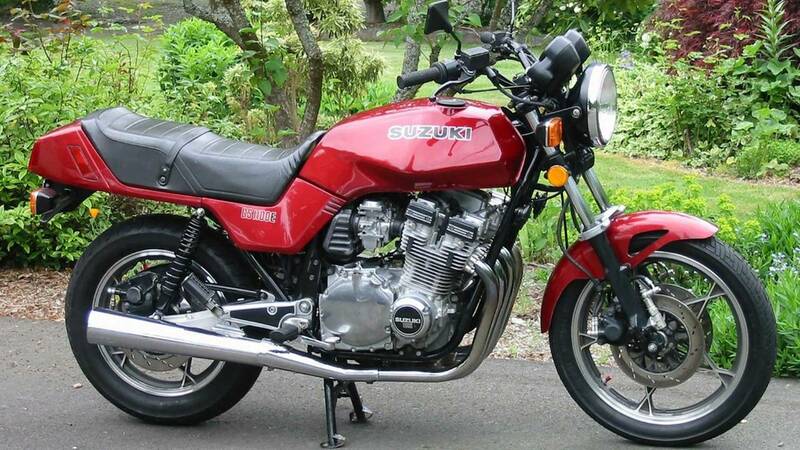 For example, Honda used nearly identical forks on every road bike from simple CL 350’s to the mighty (and mighty heavy) GL1000 Gold Wing in an attempt to streamline production and save money. Service departments liked telescopic forks too. A single size of fork seal covered many models, which streamlined supply (there's going to be more streamlining here than in a 30s-era train yard, so buckle up). Better yet, forks can be supplied by outside companies, paid for on credit. No need to pay them back until the bike is selling well! So there you have it, filthy lucre is the primary reason telescopic forks are not going anywhere, even in 2018. Tune in next time as we wrap up the Business in the Front series with a look at some really weird, far out, and dead end suspension technologies.